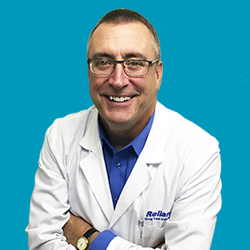 In early January of 2010, I started Reliant Drug Test Solutions with a mission to provide clients with accurate and complete information – through low cost drug testing and background screening – that will allow them to make better decisions in their business and personal life. Be a respected and a valuable asset to the communities we serve. Today, Reliant is one of the fastest growing drug testing and background check providers in the region. Now with a network of service locations across the US, we can service just about anyone just about anywhere. Our dedication to our clients goes far beyond merely providing a service; Reliant is a comprehensive and trusted resource. In addition to services, Reliant provides policy consulting, employee education, supervisor training, Drug Free Workplace Program management and much more to the businesses, schools and individuals we proudly call our clients. Our staff is the best in the business; dedicated to providing the utmost in customer service. They are trained to anticipate our clients’ needs and exceed their expectations. These are not just words to us; this is our promise. I am proud of what Reliant Drug Test Solutions has become and of the people who have made that happen. I’m also grateful for the opportunity to provide services to all of our clients and appreciate the trust they have placed in us. If you would like to be one of our valued clients, please don’t hesitate to contact us. We would be honored to provide you with our services.